The history of the 1948-9 Arab-Israeli war is deeply controversial. Israelis and their supporters have traditionally referred to the conflict as the War of Independence, seeing it as a defensive war to prevent the destruction of the fledgling Jewish state in the face of overwhelming Arab aggression. Palestinian Arabs and their allies know the events around it as the Nakba (catastrophe) — the destruction of Palestinian society, the establishment of Jewish rule in Palestine, and the expulsion of hundreds of thousands of Arabs from their homes. The war had its roots in waves of Zionist immigration to the Land of Israel, beginning in the 1880s and peaking in the 1930s and ’40s, with the flight of Jews from the Holocaust. Their plight and the absence of a single country willing to give them a home made urgent the need for a Jewish state. Following World War II, hundreds of thousands of Jewish displaced persons set their sights on aliyah, but the British government — in control of Palestine since 1917 and keen to maintain friendly relations with the Arab world — refused to admit them. As violence between Jews, Arabs, and the British mounted, Britain handed over the problem to the United Nations. In 1947, Palestine’s population of 1.85 million was approximately one-third Jewish and two-thirds Arab. The United Nations Special Committee on Palestine (UNSCOP) proposed the end of British rule and the partition of the country into Jewish and Arab states and an internationally controlled area around Jerusalem. The Zionists, desperate to enable Jewish immigration and with an eye to future territorial expansion, accepted the plan. The Arabs rejected it as they opposed any Jewish rule in Palestine. On November 29, on the heels of the UN General Assembly’s vote in favor of partition, Jewish settlements and neighborhoods were attacked by Palestinian guerrillas. What ensued was, in effect, two separate conflicts: a civil war between Palestine’s Jews and Arabs (November 29 1947-May 14 1948) was followed by the establishment of the state of Israel and its invasion by five Arab armies; the ensuing war lasted until July 1949. In the civil war, the Haganah — the Jews’ underground defense organization — together with two smaller paramilitary units, the Etzel (National Military Organization) and the Lehi (Israel Freedom Fighters), fought against loosely organized Palestinian fighters and volunteers from Arab countries. Between November and March, the Haganah’s main challenge was to repel Arab attacks on isolated settlements, Jewish areas of mixed cities, and on the roads. The road to Jerusalem came under attack and the Jewish neighborhoods of the capital were cut off, unable to receive supplies, food, or water. The Jewish forces repelled most Arab attacks but suffered heavy defeats, for example the loss of 35 soldiers en route to defend the Etzion bloc of settlements. 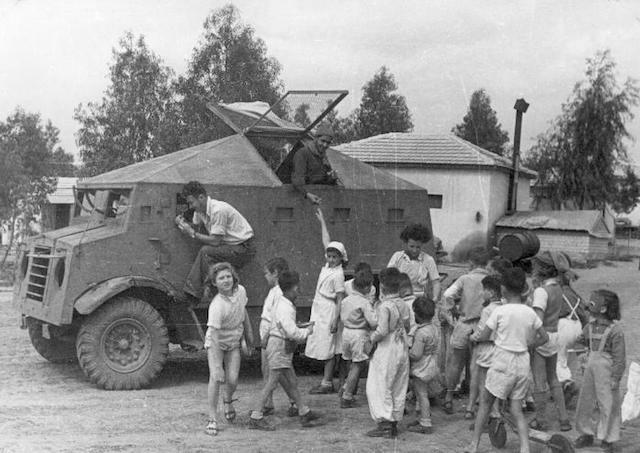 In April 1948, in anticipation of the British departure, the Haganah launched Plan D, an offensive program for the expansion of Jewish-controlled territory. Operation Nahshon — hoped to open the road to Jerusalem. On April 9, the Etzel and Lehi invaded Deir Yassin, an Arab village near Jerusalem, killing more than 100 Arab civilians and prompting the flight of thousands of Palestinians from their homes. 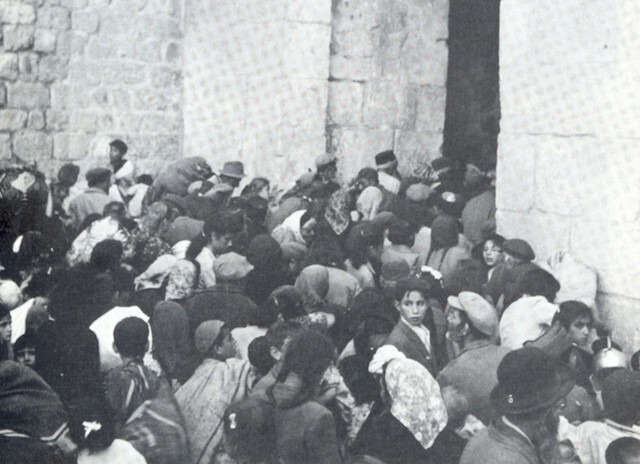 Tens of thousands of additional refugees fled following the Palmach’s conquest of Haifa, Jaffa, Safed, and Tiberias. Jewish casualties followed: Seventy-seven medical personnel of Hadassah hospital on Mount Scopus were killed by Arab forces on April 13, and on May 13, following the fall of Kfar Etzion, 129 of the settlement’s defenders were killed by Arab villagers from the Hebron area. By mid-May, the Haganah had routed the Arab forces and was in control of the major cities and more than 100 Palestinian villages. It had 30,000 fighters under arms and had taken delivery of a major arms purchase from Czechoslovakia. On May 14, 1948, the eve of Britain’s departure, David Ben Gurion declared the establishment of the State of Israel at a ceremony in Tel Aviv. The next day, the new state was invaded by the armies of Egypt, Syria, Jordan, Lebanon, and Iraq. The immediate challenge faced by the newly formed Israel Defense Forces was to rebuff the Arab attack, defending Jewish settlements until the arrival of reinforcements. The first month of the war was marked by heavy fighting against Jordan’s Arab Legion in Jerusalem; by the end of May the Jordanians had conquered the Old City and expelled its Jewish inhabitants. Syria’s advance into the Galilee was repulsed by the inhabitants of Kibbutz Degania, and the Egyptian invasion was blocked just north of Gaza at Kibbutz Yad Mordechai. Following a month-long truce brokered by the United Nations, hostilities resumed in July 1948. In Operation Dani, the IDF broke the siege of Jerusalem by capturing Lod and Ramle, two Arab towns in the Jerusalem corridor; 50,000 Palestinian refugees fled their homes. In October, following a second UN-sponsored truce, the IDF captured the upper Galilee in Operation Hiram and, in operations Yoav and Horev, drove the Egyptian army out of the Negev by December. In March 1949, Operation Uvda saw Israeli forces complete their conquest of the southern part of the country by capturing Eilat. READ: Who Are the Palestinians? The War of Independence was concluded by the signing of armistice agreements between Israel and the surrounding Arab states. Israel was left in control of 78 percent of mandatory Palestine — around 50 percent more than it had been allocated in the partition plan. The remaining 22 percent was split between Jordan (West Bank and East Jerusalem) and Egypt (Gaza Strip). An independent Palestine was never established, and no Arab state recognized Israel’s existence. Yet the Jews paid a high price for their victory. More than 6,000 Israelis — 1 percent of the population — were killed. Many of the casualties were refugees and Holocaust survivors, newly arrived in the country. The war also intensified divisions within the Jewish population. After the creation of the IDF, it had been agreed that independent paramilitary units (the Etzel and the Lehi) would be absorbed into the new national army. 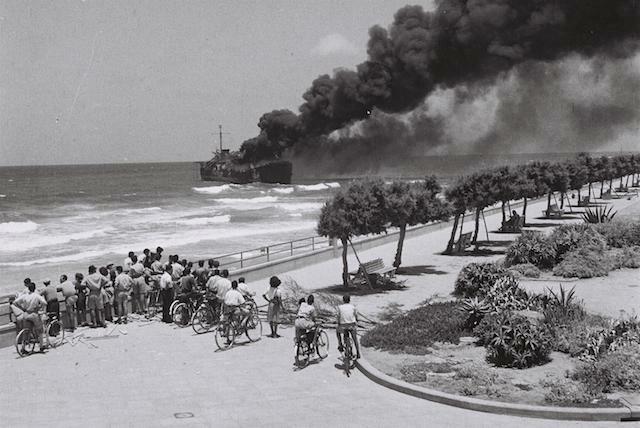 But in June 1948, the Altalena — a ship carrying arms destined for the Etzel — reached Israel. Determined to head off separatism and the threat of civil war, Prime Minister Ben Gurion ordered the Etzel to hand over the weapons to the IDF. When the ultimatum was ignored, Ben Gurion ordered the ship to be shelled; 16 Etzel fighters and three IDF soldiers were killed during the confrontation. Ultimately, the war’s biggest losers were the Palestinians, who were prevented from establishing a state, forced to live under Israeli, Egyptian, or Jordanian rule and, in the case of more than 700,000 refugees, unable to return to their homes. Traditional Zionist accounts of the war claimed that the refugees fled at the order of the Arab leadership, to clear the way for the invading armies. But contemporary historiography paints a more complex picture. Drawing on government and military archives, Israeli historians such as Benny Morris have concluded that most Palestinians fled during the fighting, afraid of imagined — or occasionally real — atrocities committed by Jewish soldiers, but that some were victims of an ad hoc Israeli policy of deportation. 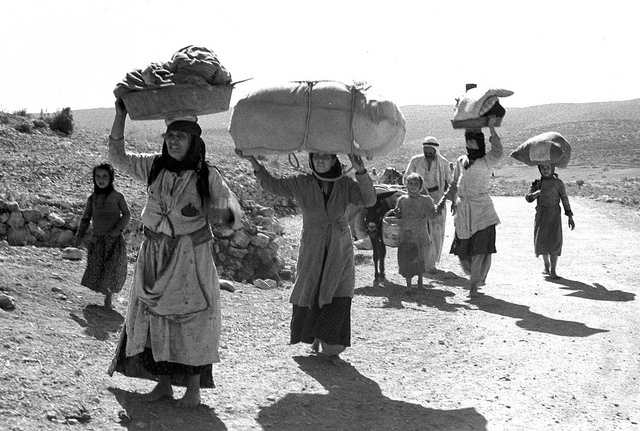 Prevented by the Israeli authorities from returning home after the war and kept in squalid camps in every Arab country except Jordan, these refugees became an important catalyst for the escalation of the Arab-Israeli conflict into the 1950s and beyond.